Chief Janee Harteau has appointed Aaron Biard as the new Fourth Precinct Inspector. Courtesy Minneapolis Police Dept. Minneapolis police Lt. Aaron Biard will be the next 4th Precinct inspector, filling a key leadership position on the north side, the department said Tuesday. "Aaron Biard has earned the respect of both the officers of the 4th Precinct and the countless neighborhood leaders who live and work in North Minneapolis," Police Chief Janee Harteau said in a press release. She was unavailable to comment on Biard's appointment. Police officials also said Biard will not comment on his new position until he takes over the job. The announcement of Biard's appointment was met with far less drama than chief Janee Harteau's previous pick to lead the 4th Precinct, Lt. John Delmonico. Mayor Betsy Hodges rescinded that appointment, saying Delmonico was not right for the job. Hodges also said she was disappointed with how Harteau chose to communicate with her about her choice. This time, Hodges is apparently on board. In a statement, Hodges wrote that she believes Biard is a "strong choice." She commended Harteau for being transparent about her pick and Hodges said she and the chief were in communication about the appointment throughout the process. Leading the 4th Precinct is a high-profile position. There are historically deep tensions between some communities of color and police in the precinct's neighborhoods. In 2015, two white Minneapolis police officers from the 4th Precinct were involved in the fatal shooting of Jamar Clark, an African American. Demonstrators surrounded the police station for 18 days following the shooting. There are also neighborhoods on the north side where citizens frequently call police to respond to shootings, robberies and other violence. "The inspector position is one of the most difficult positions," said Minneapolis City Council President Barb Johnson, whose ward is located on the north side. She's worked with Biard before and says he's a good choice. "He is just a consummate professional. And I think community members will find him easy to work with." Police union president Lt. Bob Kroll said Biard is well-respected by his peers and has done well in every position he's held during his career. But Kroll said he's a little confused by Harteau's decision. "I also don't really understand putting a new inspector into your busiest area when you could move a seasoned inspector in there," Kroll said. "Not that I don't think Aaron will do a great job. I just didn't understand the process." 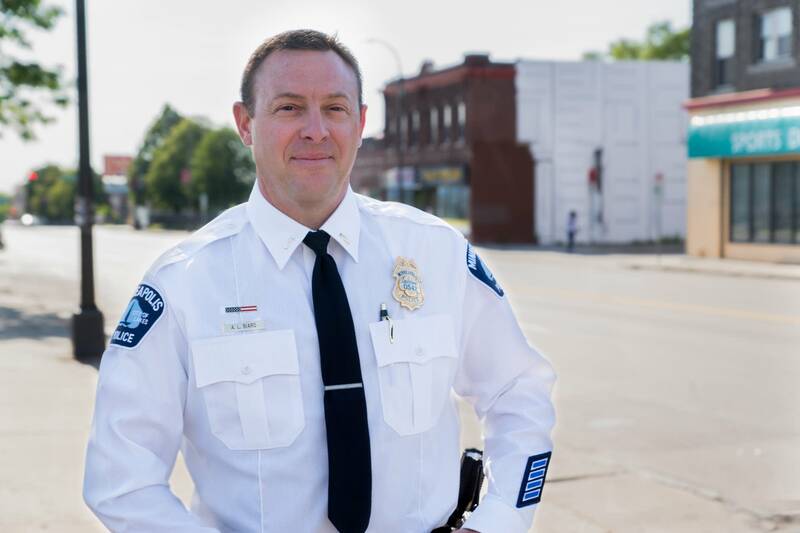 Biard has been a member of the Minneapolis police force for nearly 22 years. He's is scheduled to start his new job Aug. 20.